Are You Throwing Your Hard-Earned Money Away? | America's Tax Coach with Ed Lloyd CPA America's Tax Coach with Ed Lloyd CPA: Are You Throwing Your Hard-Earned Money Away? Are You Throwing Your Hard-Earned Money Away? Our goal is to keep you in the loop on new tax ideas to save you money and help you grow your business. Today, we're going to explain what tax planning is and how it can help you take your business to the next level. 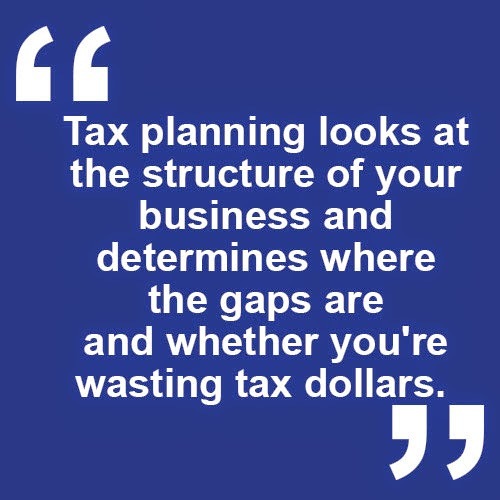 Tax planning looks at the structure of your business and determines where the gaps are and whether you're wasting tax dollars. We go through and get an understanding of you and your business, before putting a plan together that's tailored to your specific needs so you can save money this year and every year following. It's important to do tax planning before the end of the year because there are many more opportunities to save during that time than at the beginning of the year. We focus on working with the business and the individual during a particular tax year, and look at all the options available to you to put a plan together. We do the same thing from an analysis perspective the following year: we make sure you're on track and keeping the deductions we found for you in the first year. It's an ongoing process that we do on an annual basis. We provide numerous benefits for our clients. One of the biggest ones is a reduction in their audit risk. Many times, the way someone's claims are structured and presented put them at risk for audit without knowing. One of the things we work on with a tax plan is putting a protection around your return to reduce the risk of being audited. If you are audited, we'll help you substantiate your claims so that your numbers stand up to IRS scrutiny. There are many tangible benefits of tax planning, such as tax reduction that can save you a lot of money on an annual basis. Our average tax savings for clients is $50,000! The people who benefit most from tax planning fall into two categories, one of which is business owners. They have the most things going on and typically have the most missed opportunities to save. Individuals can benefit from tax planning as well, especially if you have multiple streams of income. If you have any questions about tax planning, or would like a free initial analysis from a tax professional, please give us a call. We would be pleased to serve you!